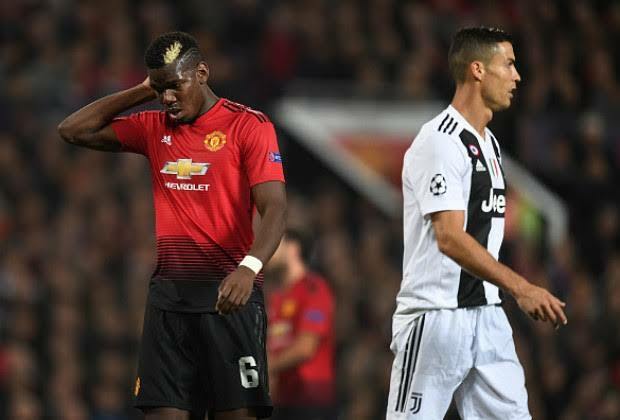 Home / English Premier League / Ex-Man United Coach Meulensteen: "You Can't Compare Pogba With Ronaldo"
Former Manchester United coach Rene Meulensteen says there's no comparing Paul Pogba and Juventus star Cristiano Ronaldo. Meuelensteen, who was a coach under Sir Alex for six seasons and worked with the Portuguese star, had his say on the comparisons. I don't think there's any parallels there at all and I'll tell you why. When Cristiano Ronaldo came, he came for the right reasons. At this club, it shaped him and formed him under the guidance of Sir Alex Ferguson and the players around him. But he was clearly an ambitious guy. He made that clear to Sir Alex and they had a good chat about it. They agreed he would stay for another year – that's what he did. When you look at the performances he produced that season, they were fantastic. The United legend went on to explain the difference to Pogba's situation. The speculation that comes up all the time – where is it coming from? Is it from Paul, an agent? Sometimes, we stand here and speak about something that couldn't be further from the truth. It's not always fair on the player.